James Dixon was born in Annan, Scotland, in 1855 but his family subsequently moved to Blackburn, Lancashire where he worked as a journeyman joiner. In 1881, after witnessing boys sleeping out all night on cellar steps, he and a friend founded the town's Bent Street Ragged School, contributing a pound a week from his wages to support the establishment. In April. 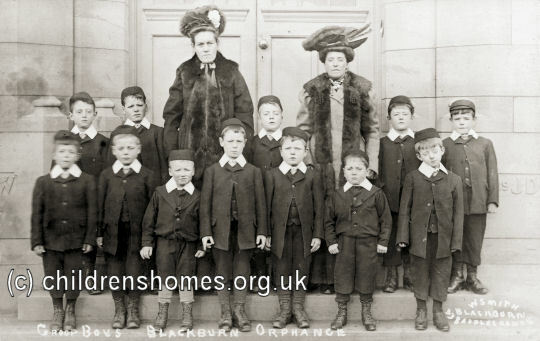 1884, following repeated request from boys at the school to be allowed to sleep on the forms, a Boys' Home was opened in rented premises on Feilden Street. The following November, a Girls' Refuge was added on Barley Lane. 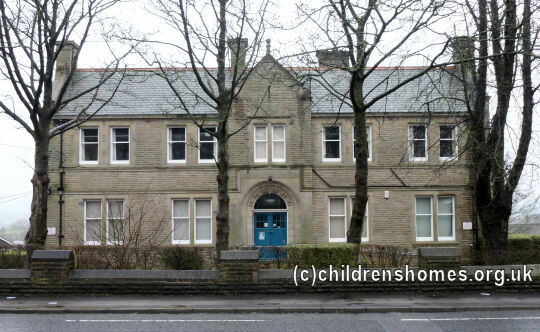 In 1886, Dixon began to raise funds for the building of an orphanage for the town, contributing £50 of his own savings. A five-acre site was found on the Whalley Road, near Wilpshire, to the north of Blackburn, and on 31st August, 1889, the foundation stone was laid by the Mayor of Blackburn. On May 23rd, 1891, the formal opening was carried out by Miss Derbyshire, of Limefield, Blackburn, who had donated the cost of the land. Other contributions had included Â£500 from John Fish for furnishings, and over £1000 from Mr Fred Pickop for the endowment of two beds in the Orphanage, to be called "Mrs John Pickop's Cot" and "Mrs Frederick Pickop's Cot". The building is situated on the west side of Whalley new-road, and is a very handsome structure in the Tudor style of architecture, faced with Yorkshire pierpoints and Yorkshire stone dressings. The whole of the corridors and principal staircase walls are faced with white glazed bricks, having tinted surbase and plinth bricks to 4ft. high, and finished out to the ceilings with red pressed bricks from Whinney Hill. The walls to lavatories, bathrooms, kitchens, scullery, and storerooms are lined from floor to ceiling with white glazed bricks. The staircases throughout are of hard stone, and finished with ornamental wrought-iron balustrading surmounted with a bay wood hand-rail. The corridors, kitchen, scullery, hospital, and all the lavatory floors are formed of rolled joists and concrete, finished with pantiles of different colours, except the floor to the hospital, which is laid in wood blocks. The floor to the vestibule is in Mosaic, by Messrs. Diespeker, of London. The whole of the staircase windows and upper portion of the windows in the main front are filled in with lead lights supplied by Messrs. Williams and Watson, of Liverpool The roofs are covered with Westmoreland green slates. There are large flagged playgrounds in the rear for both sexes. The corridors are heated throughout with coils on the low pressure system, and, together with the bath, laundry, and other fittings, have been supplied and fixed by Mr. T. Crossley, hot water engineer. A system of electric bells has been fixed by Mr. John McLellan, electrical engineer. The accommodation is is follows:â€” Basement floor: Boys' and girls' playrooms, plunge bath, six store cellars, larders and tradesmen's entrance and staircase, with separate exits to yards from the principal staircases, also a laundry ironing-room, drying-room and heating chamber, and the usual conveniences; ground floor: dining-room and schoolroom each 32ft. by 18ft. 3in., superintendent's and matron's sitting-rooms, boardroom, office, hall, vestibule, and spacious corridor the full length of building between staircases; also boys' and girls' lavatories, kitchen, scullery, and storerooms. First floor: Boys' dormitories 32ft. by 18ft. 3in. and 33ft. 9in. by 15ft. 6in. respectively; girls' dormitory, 32ft. by 18ft. 3in. Matron's, superintendent's, and servant's bedrooms, hospital, girls' bathroom, boys' store and corridors as before. 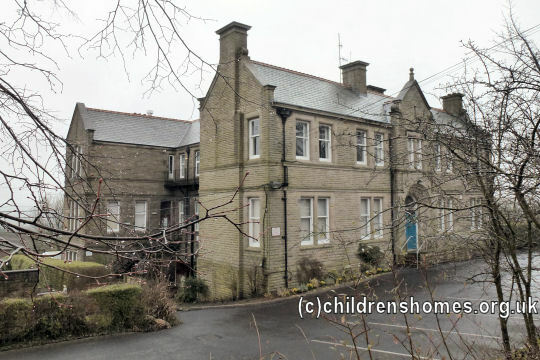 Accommodation is provided for 30 boys and 15 girls, and full working staff. The building is set back from the road 20 yards, and is enclosed by pierpoint walling and stone coping, with piers at regular intervals and wide entrance gateway, the whole finished with iron railing and gates, these and the balustrading to staircases being provided by Messrs. E. Worral and Co., of the Brook Ironworks, Liverpool. 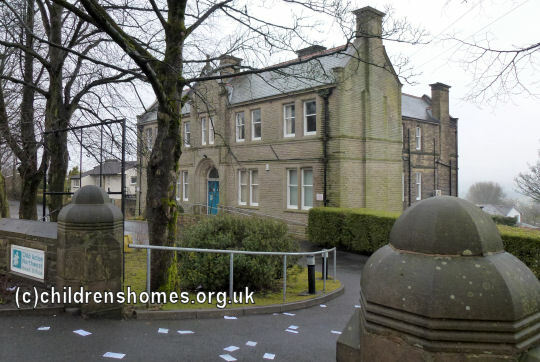 The establishment provided a home for orphan and destitute boys and girls aged from 4 to 12 years. No charge was made for those entering the Orphanage, with its Committee selecting the most needy and deserving cases. Priority was given to children who had lost both their father and mother. The 10-strong Committee was elected annually from those subscribing two guineas (£2.10) or more. 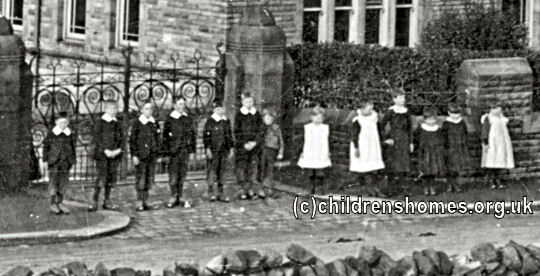 For many years, James Dixon himself superintended the Orphanage as well as the Blackburn Ragged School. The original building was extended in 1895 to increase the accommodation to 70 places. In 1904, a new girls' block, designed by the firm of Briggs and Wolstenholme, was added at the west, with the original block then being used to house the boys. The total accommodation then totalled 65 places for boys and 55 for girls. The location of the home in around 1912 is shown on the map below. 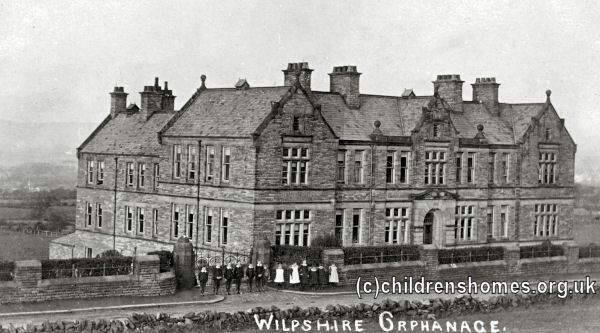 Blackburn Orphanage site, Wilpshire, c.1912, c.1912. Like many children's homes, the Orphanage held an annual Pound Day, where supporters could donate one pound in cash or a pound weight of some household commodity such as flour, sugar or soap. The Orphanage was later renamed the Homestead. The original block had been demolished by the 1970s. The surviving building now houses the headquarters of the charity that Dixon founded, now known as Child Action Northwest, which continues to support local children and young people in need. Lancashire Archives, Lancashire Record Office, Bow Lane, Preston PR1 2RE. Has 1904 building plan.